Each set includes everything you will need to complete a painting. This painting by numbers artist canvas series allows you to take your painting to the next level. Simply follow the outline that has been provided on the real artist canvas to create your own masterpiece. Showing 3 of our total 5 reviews, with an average rating of 4 stars. 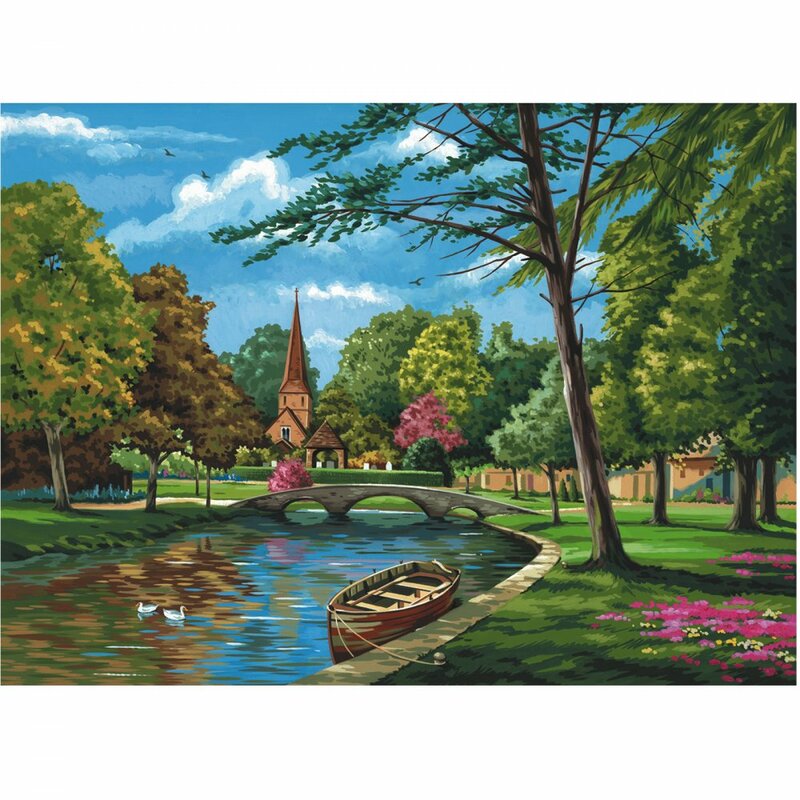 Read all 5 reviews for Royal & Langnickel Church By The River Painting By Numbers. The design is good but the colours are very bright and unnatural. I still enjoyed painting it. Was advised to take up a hobby after retiring on health grounds. Not being able to get about too well my GP suggested this may suit me. Had no faith doing this but now totally hooked. This is painting No 7. All have been Royal and Langnickel and all brilliant. I bought church by the river. The only thing is the print on the canvas is faint and I can't see the numbers . I have brought at least 30 different one's and all has been really good i would definitely recommend it i love them.